LONDON - Meghan Markle has her heart set on becoming "Diana 2.0", according to a new biography of Prince Harry's fiancee that details her lifelong embrace of good causes but also points to a calculating streak. 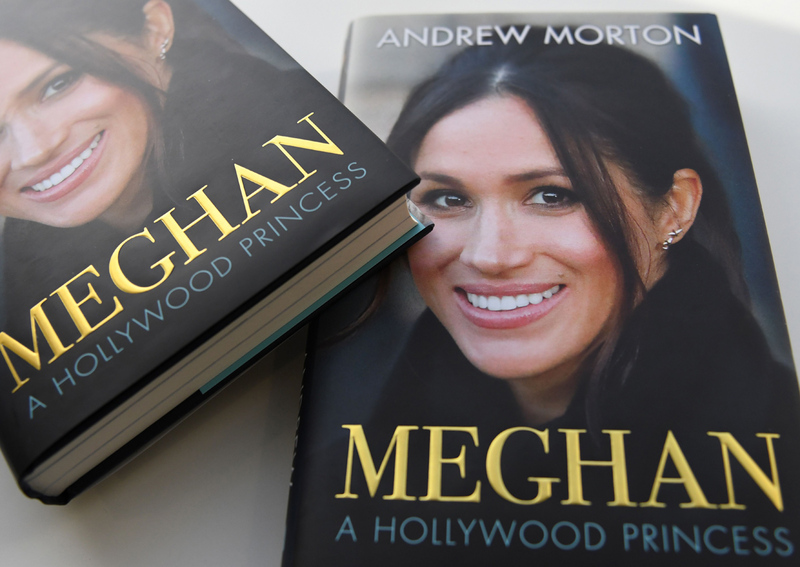 The US actress, who is set to marry on May 19, is fiercely protective of "Brand Meghan" and sidelines people as she moves ahead in life, according to people cited in the book. Meghan: A Hollywood Princess, which is due out in Britain on Thursday, details how the 36-year-old Suits star ditched her first husband. The biography is authored by Andrew Morton, the British royal writer who penned the blockbuster Diana: Her True Story. He also details Markle's fascination with Prince Harry's mother Diana around the time of her death in 1997, watching her funeral in tears. Family friends said she was intrigued by Diana "not just for her style but for her independent humanitarian mission, seeing her as a role model". Her childhood friend Ninaki Priddy is cited as saying: "She was always fascinated by the royal family. She wants to be Princess Diana 2.0." However, he notes the crucial distinction between the timid Diana, who married Prince Charles at 20, and the 36-year-old Hollywood professional. The book also claims that as she finally found success as an actress, Markle shed her old acquaintances - including her film producer husband Trevor Engelson. "Her friends in Los Angeles noticed the change in her now that she was on the way up," Morton wrote. "She no longer had the time for friends she had known for years. "A networker to her fingertips, she seemed to be carefully recalibrating her life, forging new friendships with those who could burnish and develop her career." Shortly after their engagement, she landed her signature role as Rachel Zane in the US legal drama television series Suits. Another friend said the decision to end the marriage was made by Markle.